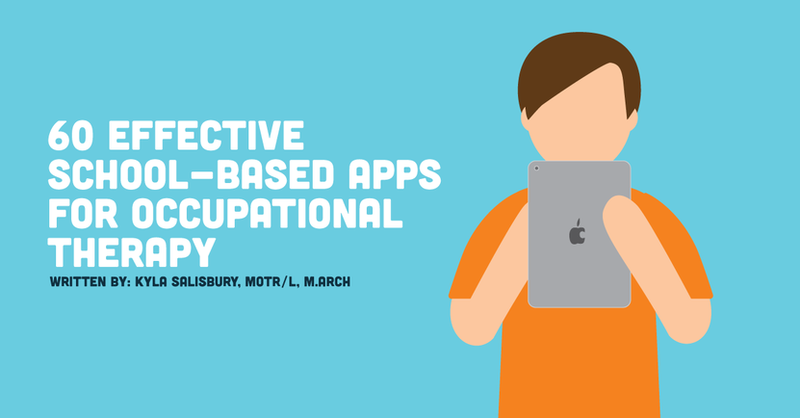 School-based apps for occupational therapy are a must have in the age of the iPhone and iPad. Many OTs are moving towards using applications to help with treatment, including in the development of skills for pediatric patients. With innumerable applications and resources available today, finding and sorting through applications can feel like a daunting process. Look below for 60 school-based apps for occupational therapy, sorted by treatment area and described in brevity by name, price, and description. These school-based apps for occupational therapy are available for both iPhone and iPad through iTunes App Store.